This brush is so underrated and especially good if you have a smaller eye shape. It blends my eyeshadow beautifully I wish I had more because I use the crap out of the one I have. Ashley Hoffmeister has rated on date 01/16/19 as This brush is so underrated and especially good if you have a smaller eye shape. It blends my eyeshadow beautifully I wish I had more because I use the crap out of the one I have. with 4.5star. I love the way this picks up the perfect amount of product and is so soft that you can spend that extra time shading and blending to quick easier perfection, and without harming the delicate tissue of eye area. No fallout at all. Perfect for sixties and up use with eye shadow challenge. It truly is the brushes you use if you want a more natural look. I just love it. Very rewarding to have. Thanks. Lana Stow has rated on date 01/08/19 as A25 pro tapered blending brushI love the way this picks up the perfect amount of product and is so soft that you can spend that extra time shading and blending to quick easier perfection, and without harming the delicate tissue of eye area. No fallout at all. Perfect for sixties and up use with eye shadow challenge. It truly is the brushes you use if you want a more natural look. I just love it. Very rewarding to have. Thanks. with 4.5star. I would have given this a five star but the product was a lot less fluffier than it appeared in the photo. I was looking to replace my Mac crease blending brush that has been a staple in my make up for ever but the brissles were really rough and starting to hurt my eye lid. This brush however is very soft and still gets the blending job done. It also deposited a good amount of color making my eyes bowser colors pup and look amazing. I personally love Anastasia’s brushes wish there were more at Sephora to play with. \n\nOverall I liked the brush just wish it was a bit more fluffier. Sara Z has rated on date 11/05/18 as Pretty goodI would have given this a five star but the product was a lot less fluffier than it appeared in the photo. I was looking to replace my Mac crease blending brush that has been a staple in my make up for ever but the brissles were really rough and starting to hurt my eye lid. This brush however is very soft and still gets the blending job done. It also deposited a good amount of color making my eyes bowser colors pup and look amazing. I personally love Anastasia’s brushes wish there were more at Sephora to play with. \n\nOverall I liked the brush just wish it was a bit more fluffier. with 4.5star. I would have given this a five star but the product was a lot less fluffier than it appeared in the photo. I was looking to replace my Mac crease blending brush that has been a staple in my make up for ever but the brissles were really rough and starting to hurt my eye lid. This brush however is very soft and still gets the blending job done. It also deposited a good amount of color making my eyes bowser colors pup and look amazing. I personally love Anastasia’s brushes wish there were more at Sephora to play with. nnOverall I liked the brush just wish it was a bit more fluffier. This is my go to brush. It’s so soft and blends out my eyeshadow so well. Danielle has rated on date 10/08/18 as LoveThis is my go to brush. It’s so soft and blends out my eyeshadow so well. with 4.5star. I don’t know why nobody really talks about abh brushes because they are honestly so good! Especially the a25, it is the perfect brush and blends out my eyeshadow so good. I wish I had 5 more because I use the one I have so much! Get this brush don’t think twice. Ashley Hoffmeister has rated on date 09/03/18 as New favorite brushI don’t know why nobody really talks about abh brushes because they are honestly so good! Especially the a25, it is the perfect brush and blends out my eyeshadow so good. I wish I had 5 more because I use the one I have so much! Get this brush don’t think twice. with 4.5star. 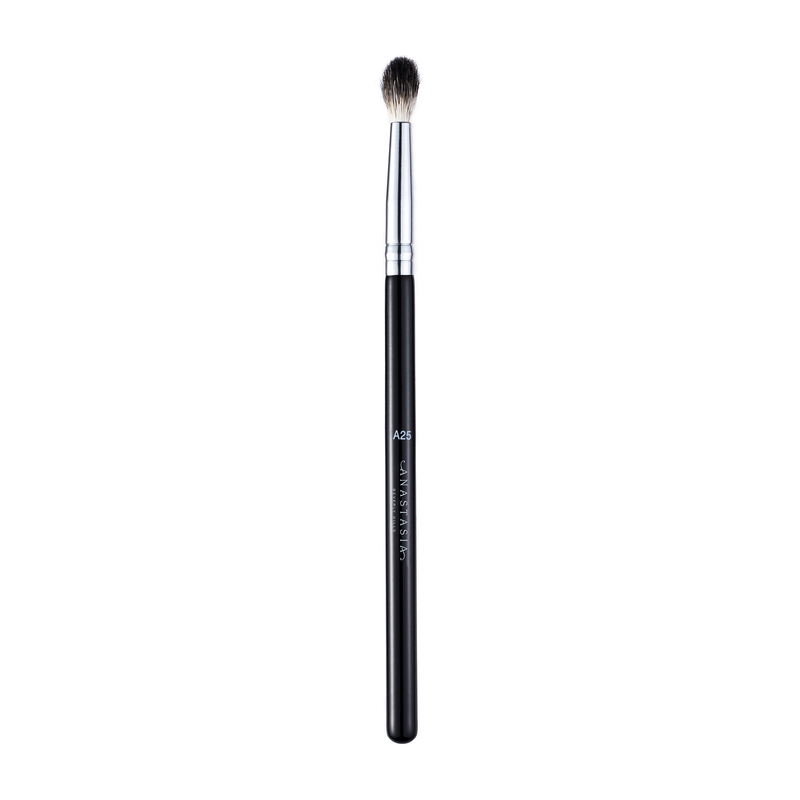 Anastasia Beverly Hills A25 Pro Brush is a small, round, fluffy tapered brush with natural fibers that is ideal for applying and diffusing powder products on the eyes and face. 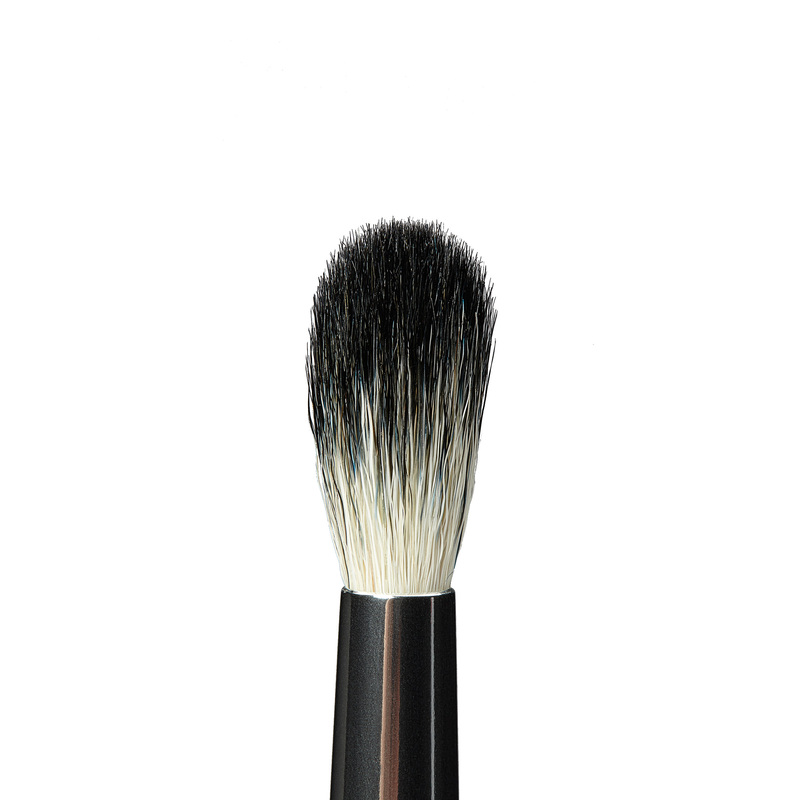 Use A25 Pro Brush to evenly disperse powder through the crease to add buildable coverage and pigment intensity.